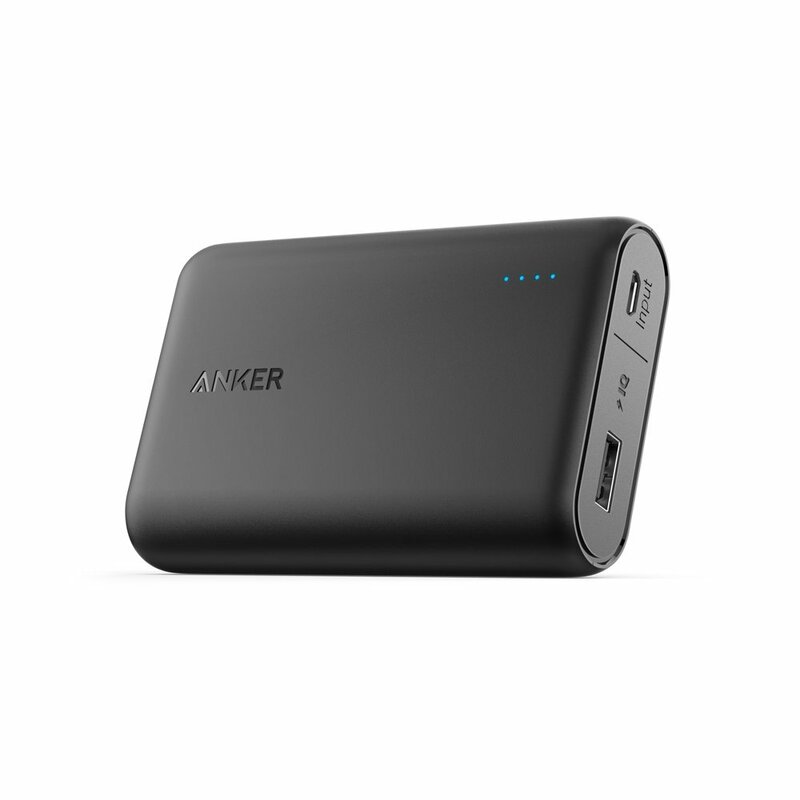 It's one of the smallest and lightest 10000mAh portable chargers. 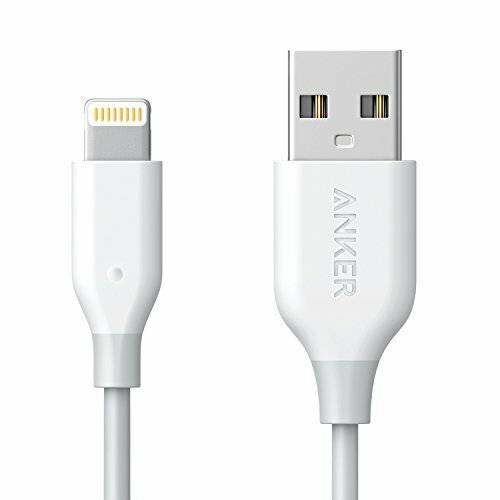 It provides almost three-and-a-half iPhone 6s charges or two-and-a-half Galaxy S6 charges. The exclusive PowerIQ and VoltageBoost combine to deliver the fastest possible charge for any device. The Qualcomm Quick Charge is not supported. The Anker's MultiProtect safety system ensures complete protection for you and your devices. The material and build quality is far superior to any product available on the market as the cable’s resistance is 25% lower than any other cable that is currently available, keeping voltage steady and in turn maintaining a speedy power transfer. Generally, the weakest point on cables is the jack and sheath connection point - this vulnerability is removed from PowerLine with precision laser welding which holds fast in all conditions. Using engineering innovations like laser welding, aramid reinforcement and dual PVC fusion, the cable has reinforced stress points which give long lasting durability. At last, it is backed by an 18-month warranty and friendly, easy-to-reach customer support so you can always rely on the brand no matter what. PowerLine is the benchmark that all other cables aspire to reach. Make sure you don’t compromise your device’s advanced technology - no other cable can offer the durability or speed of the PowerLine. Safety comes first - Anker's MultiProtect safety system and UL certification ensure complete protection for you and your devices. The small device has 6 ports that pump out 60 watts of power, enabling simultaneous, multi-device charging. 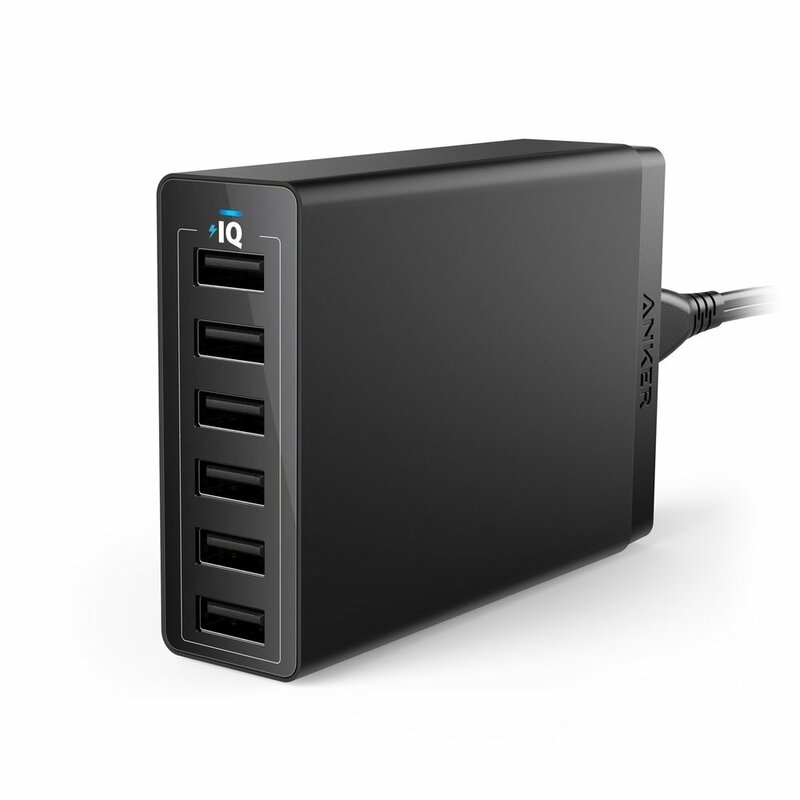 PowerIQ and VoltageBoost combine to provide the fastest possible charge up to 2.4 amps per port or 12 amps overall. Anker also backs up their powerhouse with an 18-month warranty with friendly customer service so you can rest easy. Charge all your devices simultaneously wherever you are with this tiny USB hub. It comes with a detachable cable so you can just slip the tiny unit into your pocket and fearlessly venture into the world. 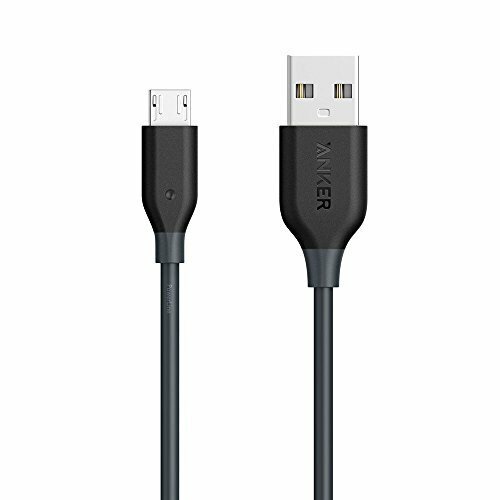 The material and build quality are far superior to any product available on the market as the cable’s resistance is 25% lower than any other cable currently available, keeping voltage steady and in turn maintaining a speedy power transfer. Generally, the weakest point on cables is the jack and sheath connection point - this vulnerability is removed from PowerLine lightning cable connector with precision laser welding which holds fast, in all conditions. Finally, it's backed by the fan favorite 18-month warranty and friendly, easy-to-reach customer support so you can always rely on the brand no matter what. 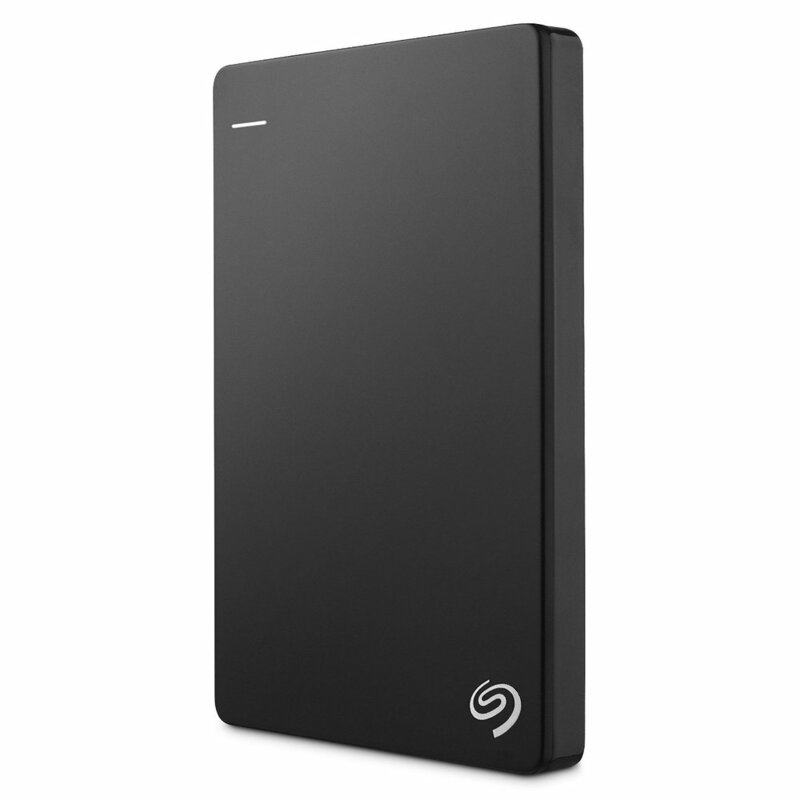 12.1 millimeters thin with up to 4TB of capacity, it’s ready to take with you and go. Create easy customized backup plans with included Seagate Dashboard software, including the things you’ve shared on Facebook, Flickr, and YouTube. The High-speed USB 3.0 and 2.0 connectivity offers plug-and-play functionality on your PC without the need of an external power supply. Use your Backup Plus Portable Drives interchangeably on PC and Mac computers, without needing to reformat. Simply install NTFS drivers on your Mac and you're good to go. This device is compatible with PlayStation 4 (Requires PS4 System Software Update 4.50 or higher). They are engineered to sound better and be more comfortable. The music is deep, powerful and balanced, and so quiet that every note sounds clearer. The headband and ear cushions are lightweight & soft. The advanced noise reduction technology quells the external noise so you can focus more on what matters. Also engineered to work optimally with most Apple devices. The inline mic/remote lets you control various music functions and talk on your phone. The headphones fold into a compact case that’s lightweight yet rugged. This headset has Signature Plantronics Audio Technology providing enhanced voice clarity through Bluetooth 4.0 and wideband audio support. It senses when the headset is being worn so it can automatically answer calls as you place the headset on your ear or redirect audio to your phone when you set down your headset. Through Plantronics voice recognition technology, manage calls hands-free without pressing buttons. Voyager Edge syncs to your contacts, telling you who's calling before you answer. Voice commands make call management easy—simply say "Answer" to take the call, or "Ignore" to send it to voicemail. The Find My Headset app will locate your headset through your iPhone, iPad, or Android. Three optional ear tips -- small, medium, and large -- for the most comfortable fit in either ear. The Plantronics InstantMeeting app automatically identifies conference calls and dialing details from your calendar, and it reminds you just before the meeting is scheduled to begin. Working remotely definitely comes with its risks. Sensitive business information or any kind of personal information can easily be stolen. 'Shoulder surfing' as it has become labeled, is a growing form of identity theft in which private on-screen information is either viewed or photographed over the shoulders of anyone using a mobile device. Take care of your information, keep it protected with one of the best privacy screen protectors the market has to offer, The Fellowes PrivaScreen Privacy Filters.